Get moulds in seconds with industrial-grade vaccum forming from the Mayku FormBox. 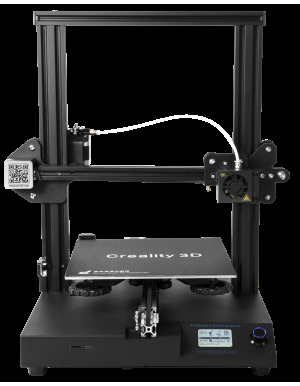 A revolutionary tool for business and consumer use, this machine is the perfect accessory to a 3D printer for replicating, modifying and experimenting with your designs in literally any material! In just seconds, the Mayku FormBox creates moulds from your master copies with great detail without damaging or harming them. 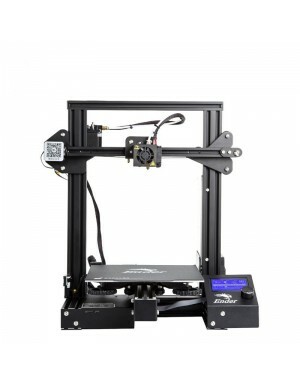 This machine features a work area of 150mm x 150mm with a maximum draw depth of 130mm. Plenty of room for building though does not mean less detail either; The sheets pick up texture as fine as human hair for precise moulds every time. It gets its powerful suction from high airflow steel mesh and any home vacuum cleaner. Businesses save thousands on outsourcing costs, lower product costs, and cut lead times by producing all parts in house with the power of reciprocality from this machine. Materials: The Mayku FormBox works best with thermoplastic sheets of 0.25 - 1.5mm in thickness. For Casting: Concrete, Silicone, Chocolate, Jello, Resin, Ice, Foam, Jesmonite, Plaster. Take charge of product development. Get your products faster. 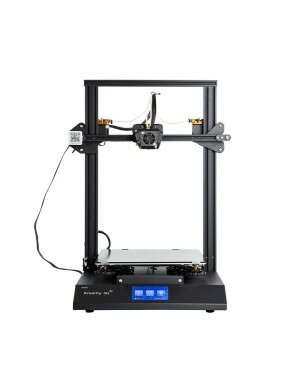 No more waiting for factories, make product prototypes on your desktop in seconds. Your ideas on your schedule. Try out ideas in a flash. Make alterations on the fly. No need to send revisions, just change them in your own time. No more minimum order quantities, make 1 or make 100 - just $1/sheet and no factory set up costs. 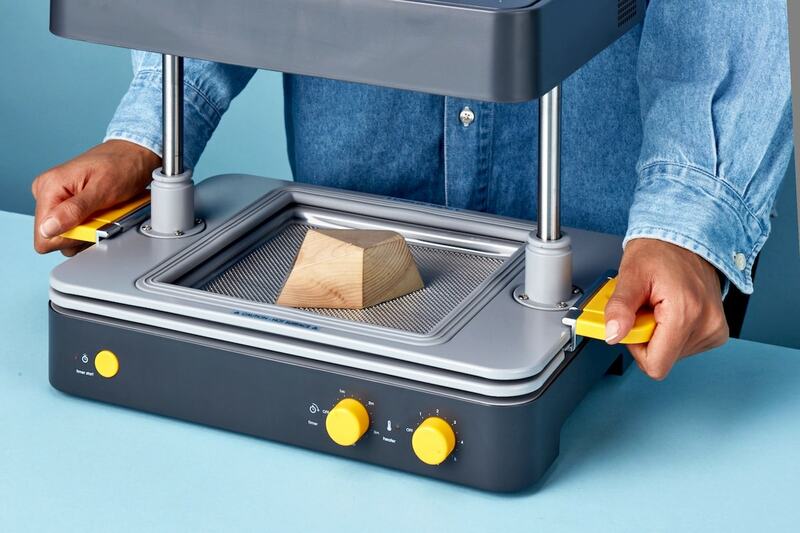 The FormBox forms a sheet of material around your shape - creating a mold in seconds. Fill your moulds with materials of your choice to create models. Finish your products, and package them with packaging made with the FormBox. The metal can get quite hot, so to keep you safe, the front and back top edges next to the heater are lined with two silicone strips. There are also supportive guide rails on each side of the ceramic heater for safety in transit.